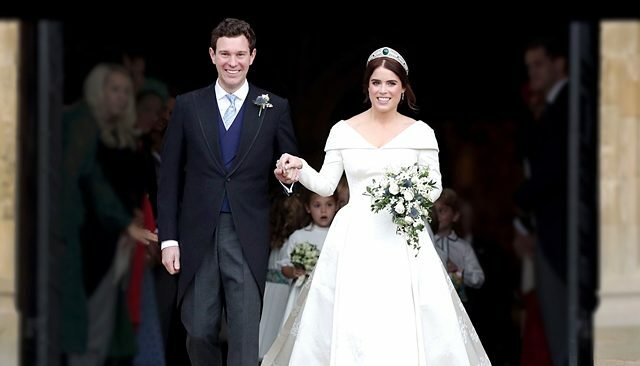 Britain’s Princess Eugenie married tequila executive Jack Brooksbank in a star-studded royal wedding at St. George’s Chapel on the grounds of Windsor Castle. The 28-year-old bride, a granddaughter of Queen Elizabeth II, is ninth in line to the British throne. She wore a long-sleeved gown with a fitted top, a peplum and a long train by British-based designers Peter Pilotto and Christopher De Vos and a diamond-and-emerald tiara loaned to her by the queen. The queen and her husband, Prince Philip, attended the wedding, along with other senior royals, including Prince Charles; Prince William and his wife Kate, the duchess of Cambridge; and Prince Harry with Meghan, the duchess of Sussex. Eugenie’s sister, Princess Beatrice, served as maid of honour; she read a selection from F. Scott Fitzgerald’s “The Great Gatsby” during the service. They are the daughters of Prince Andrew and Sarah Ferguson, who are divorced but enjoy an amicable relationship. Kate, the Duchess of Cambridge, wore a fuchsia dress by Alexander McQueen and a hat by Philip Treacy _ Britain’s premier milliner. Meghan, the Duchess of Sussex, wore a navy dress and coat by Givenchy. Eugenie, 28, works at a contemporary art gallery. 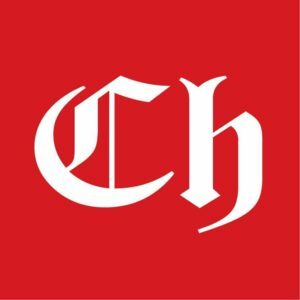 The couple, who had dated for seven years, got engaged in January when Brooksbank, 32, proposed during a trip to Nicaragua. They married in the same venue used in May by Harry and Meghan. William and Kate’s 5-year-old son, Prince George, served as a page boy, and their daughter, 3-year-old Princess Charlotte, was one of six bridesmaids. There was no sign of 5-month-old Prince Louis, William and Kate’s youngest child. The bride’s parents left the chapel together smiling as the newlyweds embarked on a horse-drawn carriage ride through parts of Windsor.